It’s 2018 and you are either looking to begin the journey into archery hunting or maybe shaking the dust off that old Golden Eagle in the garage. No matter what phase of bowhunting you are at, we have you covered with our list of top 10 must-have gear for bowhunting. Things have changed drastically since the earlier days of archery whitetail hunting, but mostly for the good. Technology has evolved allowing us access to some of the most helpful tools and gear we could have ever imagined. Technology, however, doesn’t take away fully from the skills needed to be an archer. Hunting whitetail deer with archery equipment can be the most challenging style of hunting you will ever do, it’s also the most rewarding. We all reap those rewards and want to continue to challenge ourselves afield. With that in mind, it’s time to break open the piggy bank and put our hard earned saved money to good use. Here are the things you need to get you set up for archery whitetail hunting. I think this is pretty obvious right? Then why does it seem so difficult choosing the right bow? 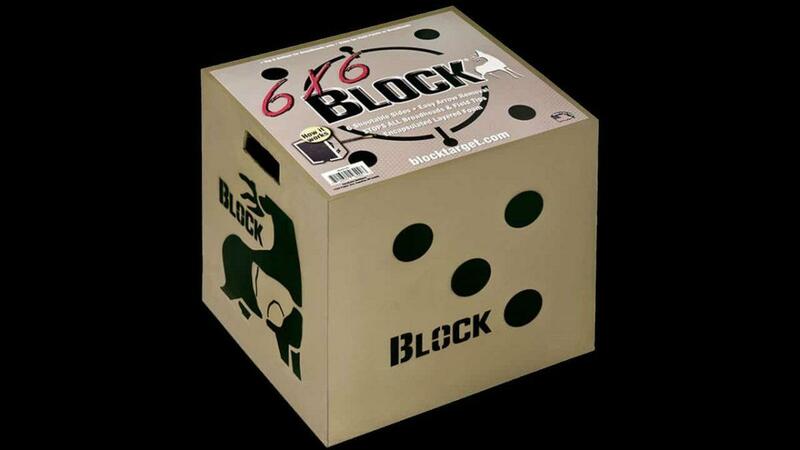 There are a plethora of options out there how is it that I find the right one? Truth is, only you can determine what’s best for you. 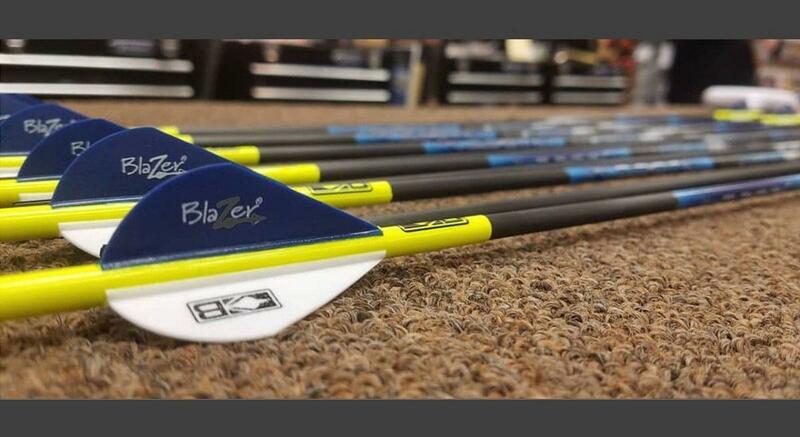 Your best bet is to visit your local archery pro shop and ask to be set up with a new bow. Then, be sure to tell them what your budget is. If you don’t have a budget, well lucky you, but like the rest of the world, we do. You want to be comfortable with your purchase and leave feeling confident. You may fit right into the first bow you shoot or you may find nothing feels comfortable. If that happens, it may either be set up to the wrong size or you are just not familiar with shooting archery equipment. Both are ok. If it is a size issue, the pro shop can fix that for you, however, if they all feel off, just know that archery takes a lot of practice to get good and comfortable. For those on a budget, some brands I recommend are Cabela’s, Diamond by Bowtech, Mission by Mathews, PSE, and Bear. If you have a little room to get yourself set up with a flagship bow, I recommend Xpedition, Mathews, PSE or Hoyt. Ultimately, brands are as good as their marketing and customer service, but with Xpedition, Mathews, PSE, and Hoyt, I’ve experienced quality outside of advertisements. It’s called a bow and arrow because you need something to shoot and something to shoot it with. Therefore, the next thing on the list, of course, is your arrow. Arrows come in all sorts of shapes, sizes, colors, brands you name it. Finding the right one is harder than you can imagine. Marketing campaigns sometimes remind me of movie drug dealers telling their customers, “This is the best product, without a doubt!” It’s actually entertaining. Truth is, just like many things, you do actually get what you pay for. When it comes to archery arrows there are a few things you want to pay attention to. The first thing is ensuring the arrow is designed for you. You can’t just pick any arrow off the shelf and shoot it. There are many terms that will confuse you even more so I will try to keep it simple by again, recommending you stop at a pro shop. When you draw your bow back, you are drawing it back at a certain “weight”. This is called your draw-weight. When you factor your draw weight in with your draw length, this determines what arrow you need. There are charts that will factor these numbers to set you up with the ideal arrow for you. Each brand has a different number, which is called a spine and that determines the stiffness of the arrow. The faster your bow, often correlating the increased draw weight, usually, the stiffer the arrow you will need. To figure that out, it’s best to speak with a pro shop so you don’t spend money multiple times and can get set up right away. When we look at the other two numbers, we can see the straightness and weight of the arrow. Often you will find that the lower the straightness of the arrow, the higher the price. Many will choose a +/-.003 or +/-.006 arrows and cut the ends off to get a +/-.001. The lower the number the straighter the arrow. If you are not looking to drill nickel size groupings at 50 yards and just want a solid hunting arrow, choosing a +/-.006 will be plenty, often these are considered hunting arrows anyway. The better brands I’ve come across are Element Archery, Gold Tip, and Carbon Express. I have also shot many times in a pinch Beman arrows. A fan favorite is the Easton Full Metal Jackets, however, personally, I didn’t like them and switch to a micro-diameter arrow from Element Archery. No matter what you choose, someone will always let you know what they shoot is better. So be sure to find something that fits you, your bow and what makes you comfortable and accurate. Check out great deals for arrows on GunBroker.com. This could probably be the longest section of this entire article, but I’ll begin to make each of these shorter as we go. Broadheads are probably the most controversial product when it comes to archery hunting whitetails. Expandable or mechanical broadheads versus fixed blade broadheads. 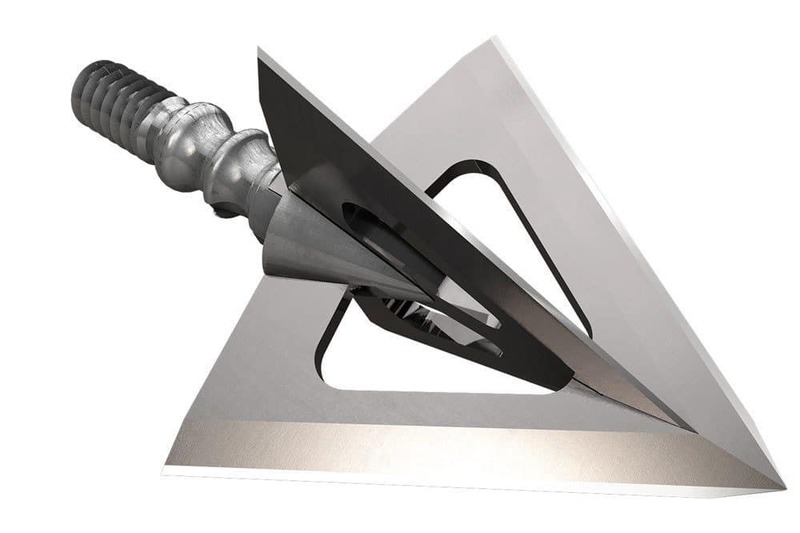 That is what the argument used to be but today we now have these things called hybrid broadheads which is a fixed blade broadhead that has an expandable blade too. Or maybe it’s an expandable broadhead that features a fixed blade, either way, it’s a hybrid. This is where I will tell you finding what works for you is truly what you need to do. The truth is, if you shot every deer in the heart, it doesn’t matter what broadhead you are using it will still kill the deer. You will find that often times fixed blade broadheads will need to be “tuned” which means they often don’t fly much like your practice field tips do. Mechanical broadheads, most anyway, fly similar to your practice broadheads and require less tuning. The reason some still choose fixed blade over mechanical is because there is less room for mechanical error with a fixed blade and some people would rather have that. As for brands, some of the best brands I have experience with are Ramcat, Rage, Muzzy, Grim Reaper, and Swhacker. Or check out great deals on broadheads on GunBroker.com. Well, with every compound bow, you will need the bow, arrows, broadheads and an arrow rest. This is a vital part of the functioning of a bow. There are a few different styles out there but the most popular today are truly narrowed down to your drop away rests and your fully enclosed rests, like the Whisker Biscuit. The arrow rest is designed to hold your arrow in place and guide it as it is released from the string. A drop away rest will actually drop as the arrow moves through the rest — hence its name. Whisker biscuits by Trophy Ridge are often the beginner favorite, however, I know many well-seasoned archers who continue to use and support the Whisker Biscuit. For me, I shoot a Hamskea Hybrid Hunter Pro but have also always been a favorite of the QAD Ultra Rest HDX rest as well. The thing about archery products is many people are so brand oriented, just like most guys and their truck brands. Sometimes it pays to see what works best for you and make your own decision, so with that I highly recommend it. Check out the best deals on arrow rest on GunBroker.com. Depending on the style of bow hunting you plan to do this category will also leave you racking your brain. Single pin, 3-pin, 5-pin, 7-pin, no pin, range finding bow sight, you name it, this category is so full of variety. The bottom line is no matter what you choose you will need one. Budget bow hunters will find a bow sight in the price range of $20-$80. This doesn’t necessarily make them cheap, but when it comes to your bow sight, it’s worth splurging a little bit on. Most of your inexpensive sights are built from plastic. Plastic can break, bump and move easily, heat and cold temperatures can affect them, ultimately the fully plastic sights do not offer the reliability that your more expensive sights offer. With this in mind, I’m not telling you that you need to go out and spend $999 on the new Garmin range finding bow sight. However, spending a little extra money on a bow sight can ensure that bumping a branch on the way up the tree stand isn’t going to ruin your hunt. A good, safe price for a quality bow sight might have you in the range of $100-$300 range. My favorite bow sight brand is the Spot Hogg. I am a mobile, run and gun, spot and stalk deer and turkey hunter. I also spend a lot of time traveling, shooting both timber and open fields and the single pin, Spot Hogg Fast Eddie XL has been a favorite for me. Other brands that have worked very well for me is CBE, however, I’ve experienced a rough time getting ahold of their customer service in the past. My other favorite brands that I have experience with are HHA and IQ Bowsights. I’m not saying any brand outside of these aren’t good, these are just the few that I have had experience with that have provided me with repetitive results. 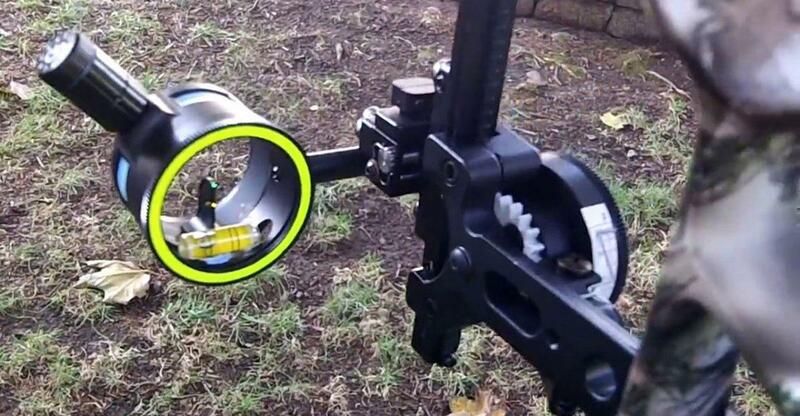 Check out great deals for bow sights on GunBroker.com. An arrow release is important with compound bows but less important for those shooting traditional bows. An arrow release will provide you with the consistent release of your bowstring to provide repetition. Trying to shoot a compound bow with fingers only will cause the string to roll causing the arrow to fly completely different. There are several different brands and types of archery releases from hand to wrist releases. Much like the trigger of a gun, being able to set the tension is beneficial but sometimes costly. There are so many good brands when it comes to archery releases, that I recommend going to the pro shop and trying as many as you can. 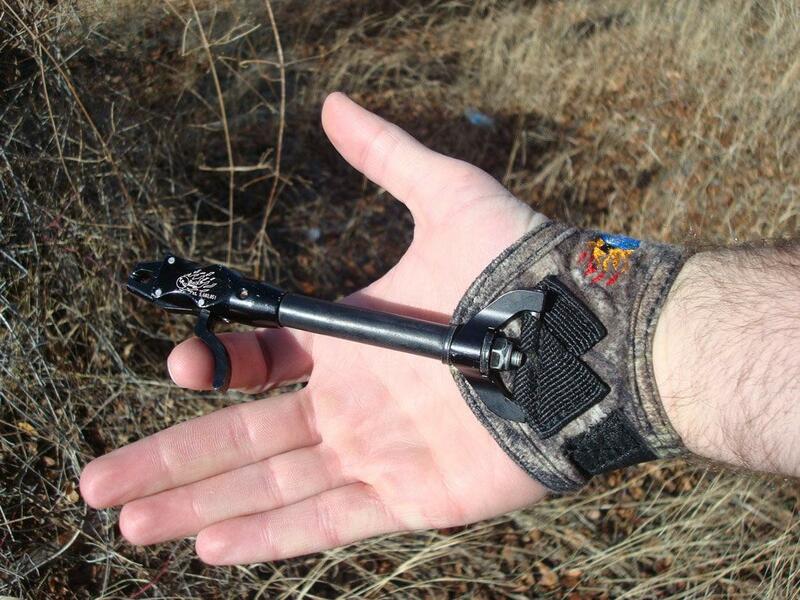 Just like a glove, your release should fit your style of hunting as well as your hand, or wrist. Check out the great deals on archery releases on GunBroker.com. A quiver is a part of the archery equipment that just acts as an extra hand. 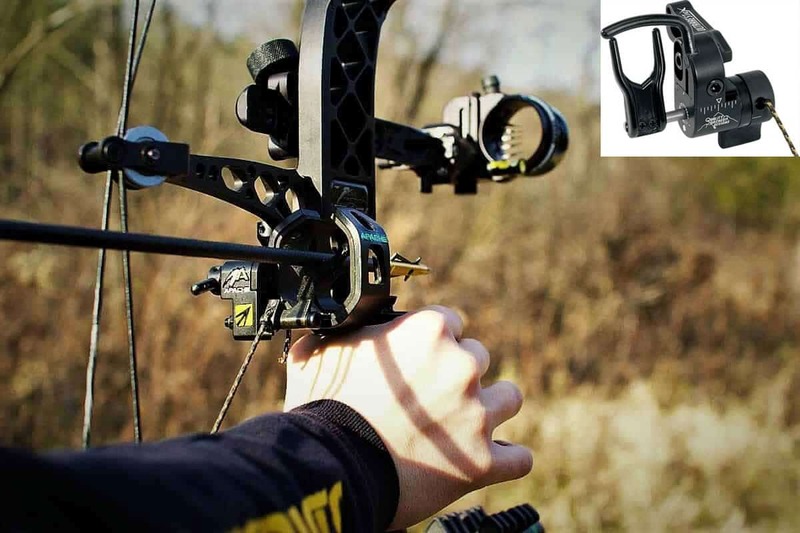 Whether it attaches to your bow directly or you wear it on your back, hip or just carry it separately, the quiver is designed to hold your arrows. I haven’t found anything in the quiver technology that can make one brand greatly stick out over the other, however, I have found that I truly love my Tight Spot quiver. It isn’t bulky and can accept a broad range of arrow diameters. It also allows for quick access to the second arrow with its on-deck arrow receiver that faces the archer while attached to the bow. You can buy/research quivers on GunBroker.com. In competition, this is for sure a product that is imperative. When it comes to bowhunting whitetails, some find this to be completely useless while others find that it helps tremendously. Most of those who find it helpful are those hunting open fields or hold their bow at full draw for extended periods of time. As for me, I never used to think it helped much, however, I moved to a little heavier stabilizer last year and have found that while target shooting my consistency has increased tremendously. I shoot a Bee-Stinger but there are many brands that are very good. 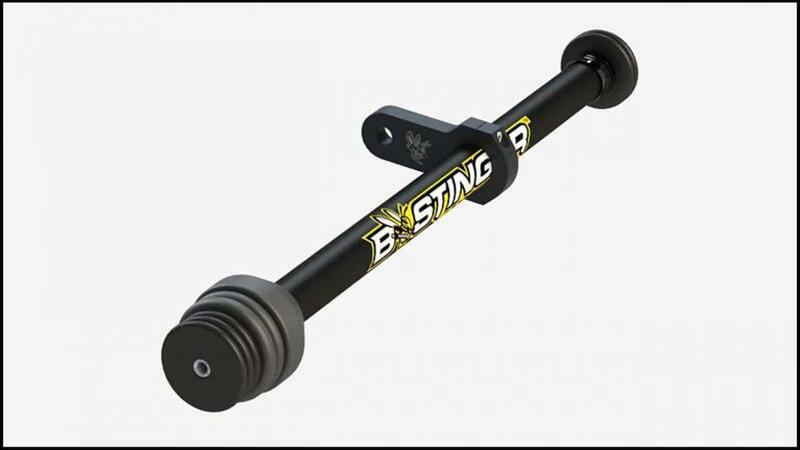 This is another product that should be tested at a pro shop or purchasing one that is completely adjustable can be beneficial in the end. 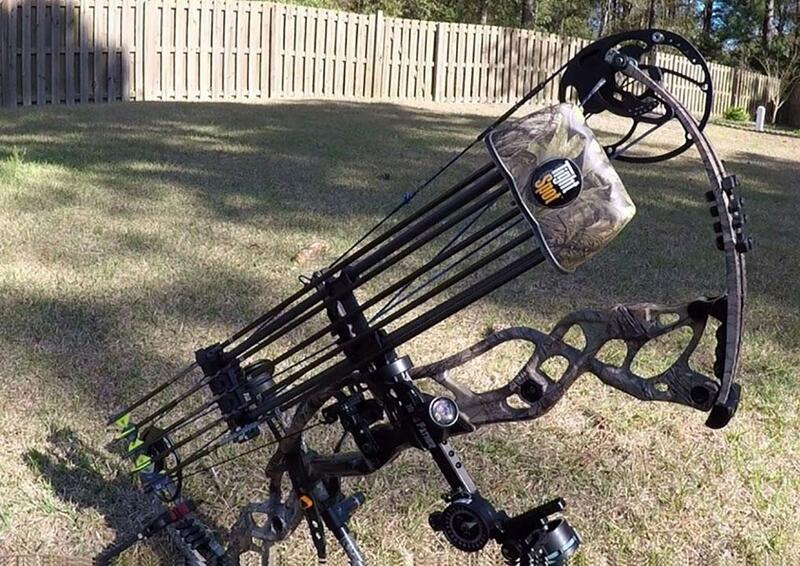 You spend a great deal of your money on your archery equipment, so you need to protect it. I found this out the hard way when I purchased a very cheap bow case and tried to fly to Florida with it for a hog hunt. I got down there and my old bow sight ended up broke. The airline tossed my gear around like it was a sack of rags and busted my level off my sight on the way down. On the way back, the bow sight was completely broken at the base. Luckily I was able to get the bow sight replaced, however it made me realize that spending some money on a quality bow case was a good idea. I chose to go with the SKB bow case because it fits my style more and as someone who spends 90 percent of his time bowhunting, this wasn’t crazy for me to spend the extra money on a rock solid bow case. Plano also offers very good bow cases, however, you need to ensure you’re spending a little more than $30 as the case that I flew with was their Protector Series. That case is ok for keeping picture frames from falling on your bow and doing damage, but if you are hard on gear or plan on traveling I would recommend spending a little more money on one of their better models. 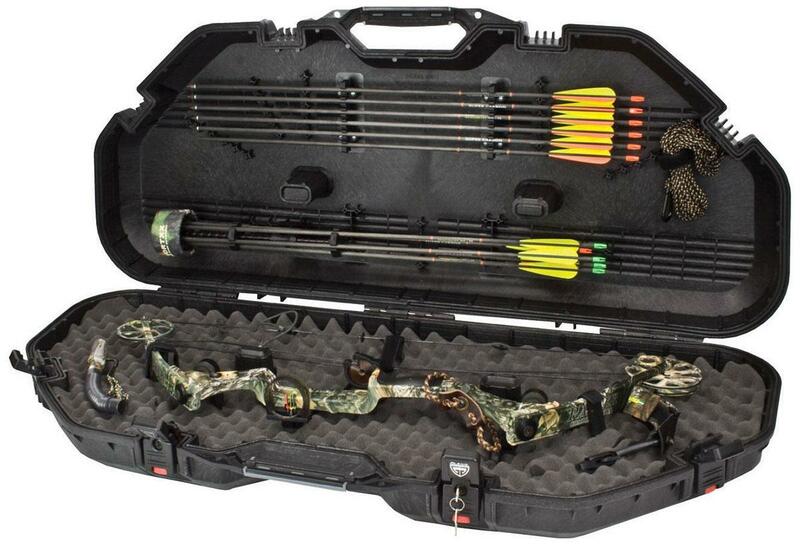 Check out great deals on bow cases on GunBroker.com. This last category was going to be titled “Patience” but I thought maybe one of the best ways to provide patience would be through practice. You can’t practice shooting your bow without a target. There are many targets on the market that will help, but be sure to know what you are purchasing. If you plan to shoot broadheads, make sure you purchase a target that accepts broadheads otherwise you may ruin the target or worse, your broadheads and arrows. Some quality brands that I use for targets are the MarXman by Walk on Archery (not pictured) and BLOCK targets for both field tips and broadheads and Morrell for strictly field trips. Check out great deals on bowhunting targets on GunBroker.com. No matter if you are just getting started, used to hunt back in the day or are an avid archery whitetail deer hunter, these are all things you will need to hunt successfully. Always keep in mind no matter what you buy there may always be something out there that is more expensive that many perceive as better. Regardless if you can afford the flagship bow and all the best accessories or are buying a hand me down from your Uncles coworker, we can all agree on one thing: Bowhunting is the ultimate challenge when it comes to hunting whitetails. 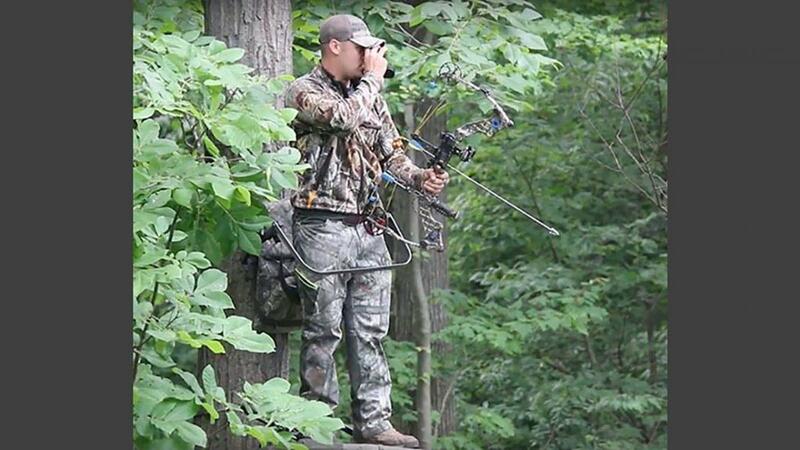 Bowhunting has so many ups and downs; you will grow a love-hate relationship for it for sure. Be patient, keep practicing and don’t give up. Oh, and if you are bad at judging distances, get a rangefinder. I guess we should change that to 11 Must-Have Gear For Bowhunting Whitetail.